Our award-winning refreshing and crisp sparkling semi-sweet white wine. Great for summer and for celebrations! Our award-winning beautiful dessert wine with natural peach flavors. 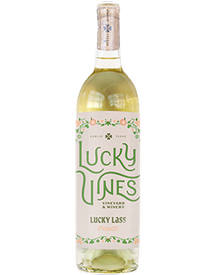 The Lil' Lucky Club is for those ready to become a Lucky Vines wine enthusiast! 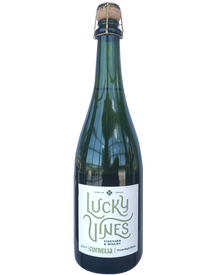 As a Lil' Lucky Club member you will be given first opportunities to enjoy and taste all Lucky Vines Wines! Lil' Lucky Club members will receive three bottles released four times a year. The Clover Club is our most exclusive club of all! As a Clover Club member you will never worry about missing out on anything new at Lucky Vines Vineyard & Winery! Members will receive six bottles released four times a year. Family owned and Texas proud, this destination winery welcomes you with small town heart and soul. Whether you’re a wine enthusiast or can’t tell a cabernet from a sunny day, we make it fun and easy to find a wine to love. Just sip away, and go with what your tastebuds say! Take time out to relax, romance, and reach for the good things in life. From sips and bites to sounds and bottles, there’s something here for everyone. *CLOSED* Sunday May 5th for Wine Club Pick-up Party! © Copyright 2018 Lucky Vines Vineyard and Winery Winery Ecommerce by WineDirect. Design elements by Five and Four.